Although this subject is an uncomfortable subject for many, there is a growing population of our preschoolers who deal with the impact of divorce everyday. There are many books, and helpful sources that parents can use if they are going through a divorce, however this is not so for preschool teachers. This article is for teachers that are interested in how to help preschoolers deal with divorce. Here you will find “red-flags," to watch out for, tips on how to help, and a book list for your students that are experiencing the changes that come with a divorce. Become Aware of Common “Red-Flags"
Not every child that has a divorce in the family is affected by it. Sometimes a divorce took place early on in the child’s life, so they are accustomed to the separate arrangements. Unfortunately this is not always the case. Some children experience divorce during their preschool years, which will affect the child. A teacher can learn to become aware of changes in their students, thereby giving them the advantage of offering help to them sooner. If you have prior knowledge of the divorce you are even at a greater advantage, and should be closely watching for behavioral or personality changes in these students. These common “red flags" can act as warning signals to teachers that something might be going on with the child or at home. This is a general guide, so it should not be taken literally. -Find out about family status: When you are gathering other information such as primary doctor, emergency contacts and allergies, attempt to collect this information as well. This request for information can be sent home via a welcome letter to be completed by a parent or during an orientation if your school has one. Simply ask for the names of mom and dad and their relationship status (optional). Leave room for each parent to leave their phone number and/or address for future contact. This may not be filled out by the parents, but if you can obtain this information it may be helpful to you and the student. -Have patience: Preschool teachers are usually already gifted with patience; however this attribute is extremely necessary when it comes to a hurting child. Depending on the severity of their behaviors, these students may need extra TLC. They are simply reacting to changes in their home environment. Lessons on feelings, expression of feelings, and actions toward others would be beneficial to the student, and to the class as a whole. -Keep the classroom schedule as routine as possible: Predictability can be a comfort to a child experiencing drastic changes at home. If there is a change in the routine, for example a teacher’s absence, you may see a flare up of “red-flag" behaviors. Again if you have prior knowledge of the divorce you can prepare the child for any changes to their routine, or preventively spend time with the child afterward. This should give a sense of security to the child, which is most beneficial to the student at this time. -Meet with the parents: If there are behavioral or emotional concerns, meet with the parents to discuss what you are observing. You may need to set up two separate meetings to ensure that you discuss your concerns with both parents. 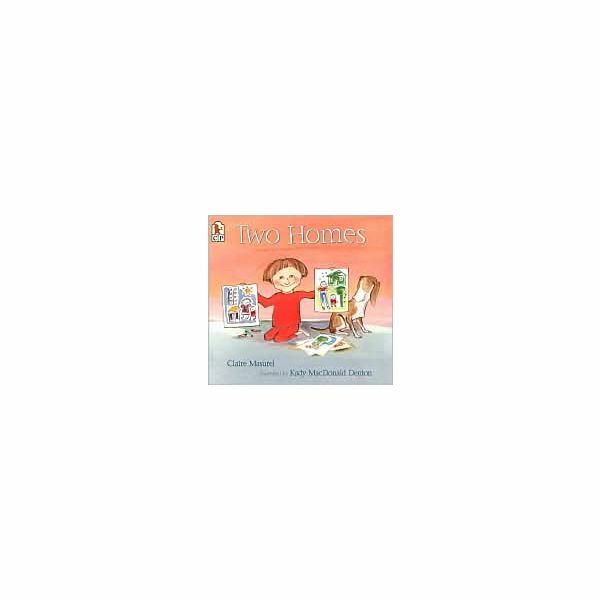 Suggest to them the book list, and speaking with their child about the goings-on at home in a way preschoolers will understand. Encourage the parents to share with the preschooler that the divorce is not their child’s fault, that they will always be there and will always love them. -Do not show favoritism: If you are sending home a packet for mom, send one for dad as well. Keep both parties informed on the child’s progress. If you have parent-teacher conferences, then offer to sit down with each parent separately. Typically both parents are concerned with the well-being of the child, as are you. Keeping everyone informed reinforces to the parents that the main goal is an educated, healthy child over everything else. -Have a lesson on family structures: Teach your class that families can be more than a mommy and a daddy. Educate the class as a whole, and teach the child that they still have a family that loves them, and cares for them. Read books about divorce and multiple family structures. Use the book list below as a starting library to keep in your class. Let the children take out the books, and suggest taking them home to read with their parent. Books show children that they are not alone, and usually offer suggestions as to why they might be feeling the way they do. In some cases, a teacher’s intervention is the only hope for a struggling student. Take the time and learn how to help preschoolers deal with divorce, so you could be that teacher who makes a positive difference in a child’s life.